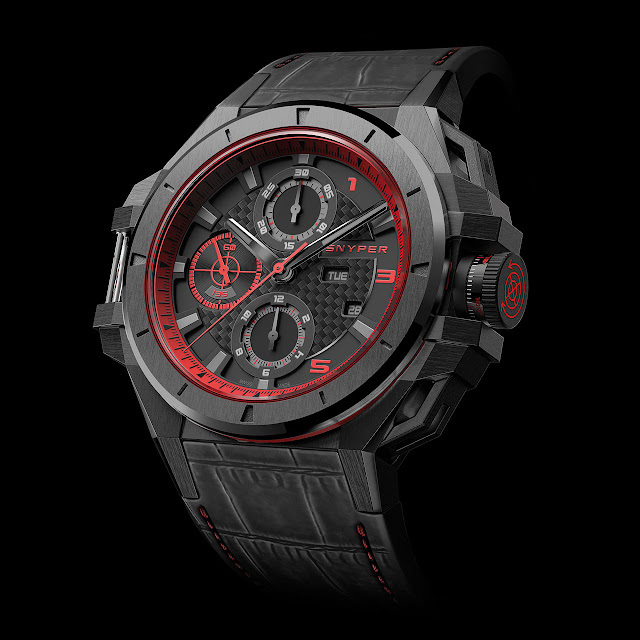 Established in Geneva in 2008, Snyper finds its inspiration in the equipment issued to Special Forces marksmen. Robust and technical, these Swiss-made watches are for men who demonstrate the same high expectations and complete self-control. The brand is committed to taking technology to new limits without compromise, as evidenced. This is evidenced in the powerful design of its Ironclad Steel PVD Black Red Edition. This imposing chronograph is proof of an unfailing desire to serve. Contrasting surfaces and depths play out across the dial while the case is an efficient mix of design and technique. 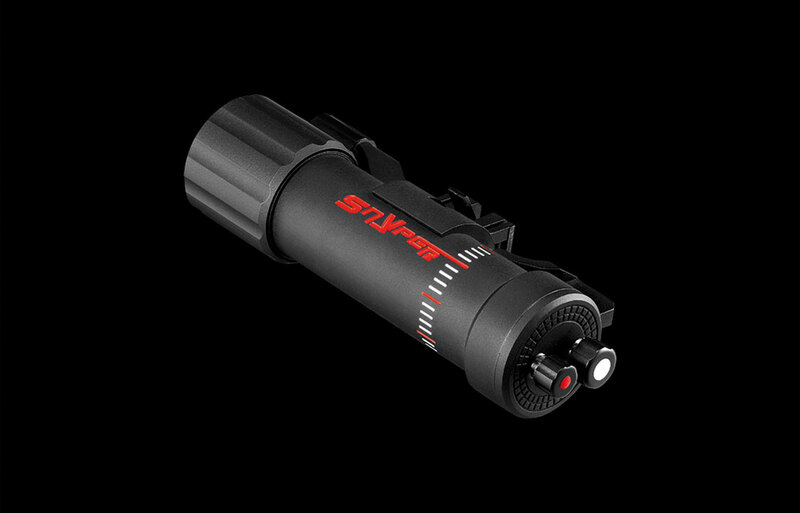 The unmistakable signature feature of the two bars on the left side of the watch are for mounting Snyper modules: lifestyle accessories such as an LED/laser beam or a lighter/cigar cutter.